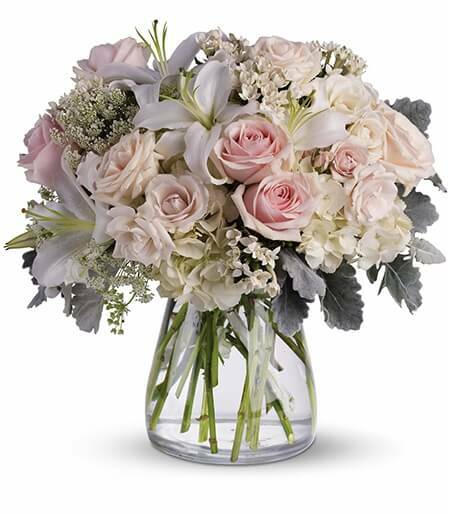 Pink and white are appropriate funeral flowers for women. The soft colors are seamless for funeral and sympathy pieces. Pink is often synonymous with innocence much like white, but also with gracefulness. 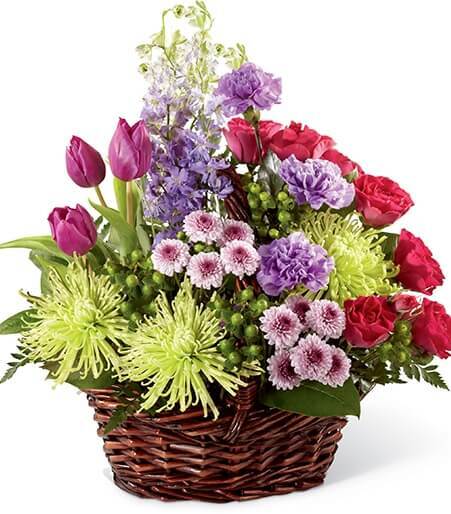 Table arrangements are a great way to try and bright someone’s day after dealing with the loss of a loved one. 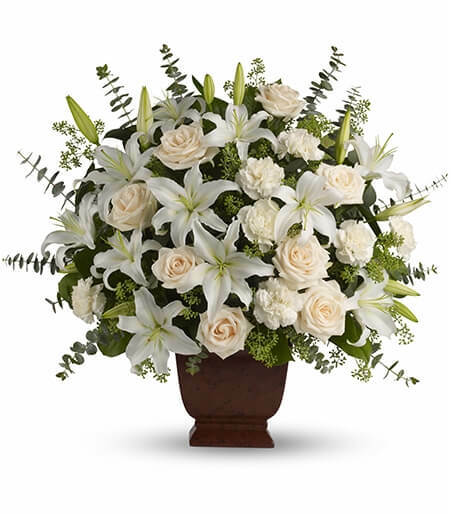 They are appropriate for either the funeral home or to the family’s home after the services are taking place. 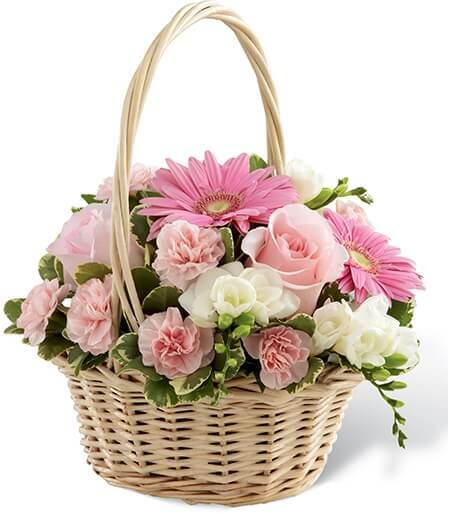 Funeral baskets are appropriate just for funeral homes and church services. This item shouldn’t be sent to a family’s home address. 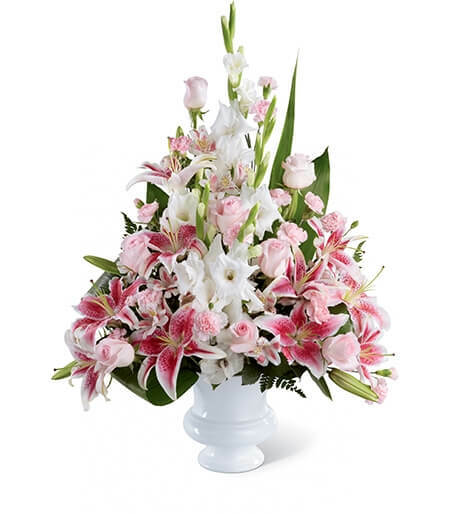 The Precious Peace Arrangement is a gorgeous display of white gladiolus which symbolizes honor and strength along with pink stargazer lilies and pink roses. 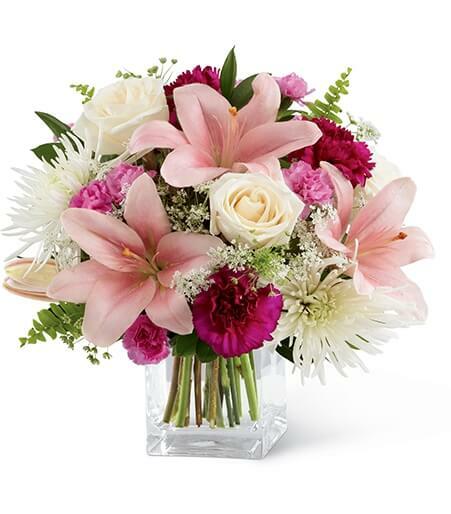 This combination of pink flowers and white flowers make a stunning feminine standing spray. Perfect for a funeral home visitation or even church services. 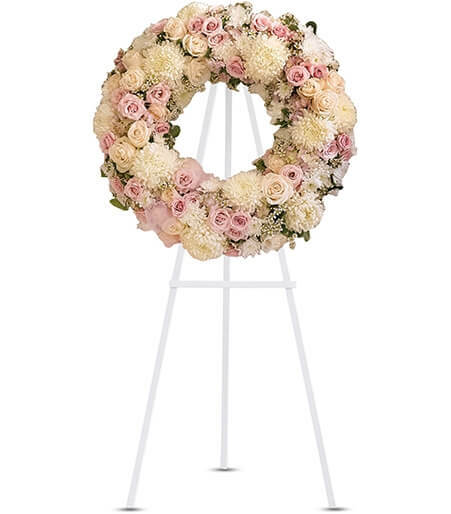 The Peace Eternal Wreath is a magnificent wreath in soft pinks and whites. These colors are especially dainty with the lighter color scheme. 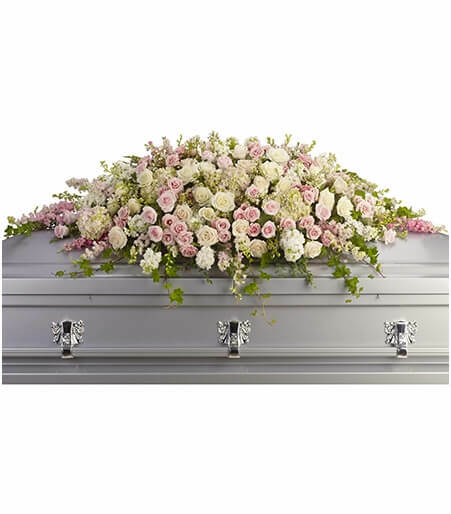 A pink and white casket spray is a beautiful way to commemorate a beloved woman in your life, especially if she is an immediate family member.